Will My Computer Be Able to User Newer and Faster Memory? The answer to the question about using faster memory is really, "It depends." If you are talking about a computer, for example, that uses DDR3 and you want to use DDR4, it will not work. They use two different clocking technologies that are not compatible with a system. There were a couple of exceptions to this in the past with processors and motherboards that allowed one or the other type to be used on the same system, but as the memory controllers have been built into the processor for improved performance, this is not really possible anymore. For instance, even though some versions of Intel's 6th Generation Core i processors and chipsets can use either DDR3 or DDR4, the motherboard chipset only allows one or the other technology, but not both. In addition to the memory type, the memory modules must also be of a density that is supported by the computer motherboard. For example, a system may be designed to use up to 8GB memory modules. If you attempt to use a 16GB module, the system may not be able to properly read that module because it is the wrong density. Similarly, if your motherboard does not support memory with ECC or error correction, it cannot use faster modules that happen to use this technology. The other issue has to do with memory speed. Even though they may be faster modules, they will not be running at a faster speed, which can happen in two cases. The first is that the motherboard or processor will not support the faster memory speed. When this happens, the modules are instead clocked at the fastest speed that they can support. For instance, a motherboard and CPU that can support up to 2133MHz memory can use 2400MHz RAM but only run it up to the 2133Mhz. As a result, trying to upgrade to faster-clocked memory does not provide any benefit even though it can use the memory modules. The other case of memory running slower than it is rated concerns when newer memory modules are installed into a PC with older ones. If your present computer has a 2133MHz module installed in it and you install one rated at 2400MHz, the system has to run the memory at the slower of the two memory modules. Thus the new memory will only be clocked at 2133MHz even though the CPU and motherboard may be able to support the 2400MHz. In order to run at that speed, you would have to remove the older memory. So, why would you want to install faster memory in a system if it will still run at a slower speed? It has to do with availability and pricing. As memory technology ages, slower modules may drop out of production, leaving only faster ones available. Such might be the case with a system that supports DDR3 memory up to 1333MHz but all you can find is PC3-12800 or 16000 MHz modules. Memory is considered a commodity and as a result, has variable pricing. In some situations, a faster memory module might be less expensive than a slower one. 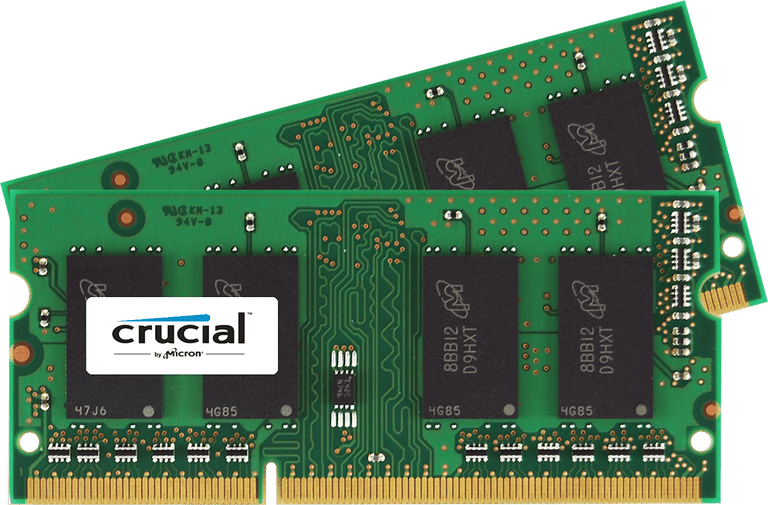 If PC3-10600 DDR3 supplies are tight, it might be less expensive to buy a PC3-12800 DDR3 module instead. The memory has to be of the same technology (DDR3 and DDR4 are not cross-compatible). The PC must support the memory module densities being considered. No unsupported features like ECC must be present on the module. The memory will only be as fast as that supported by the memory or as slow as the slowest installed memory module. For more information about computer memory, check out the desktop memory and laptop memory Buyer's Guides. Will DDR4 Memory Improve Your Next PC? Should You Add More RAM to Your PC to Improve Performance?